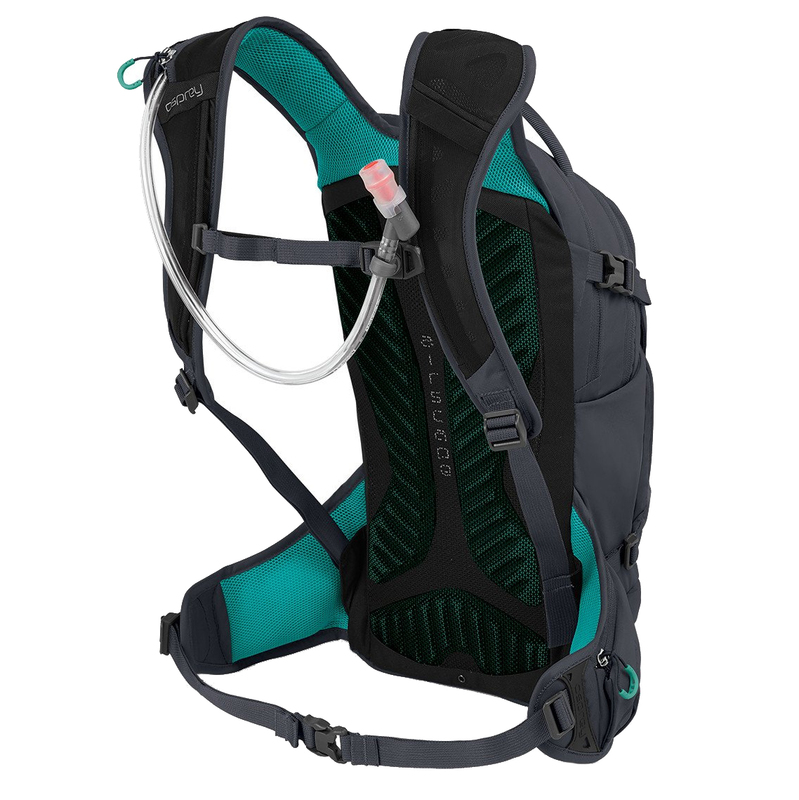 The Raven 14 pack was designed for mountain biking and hiking. 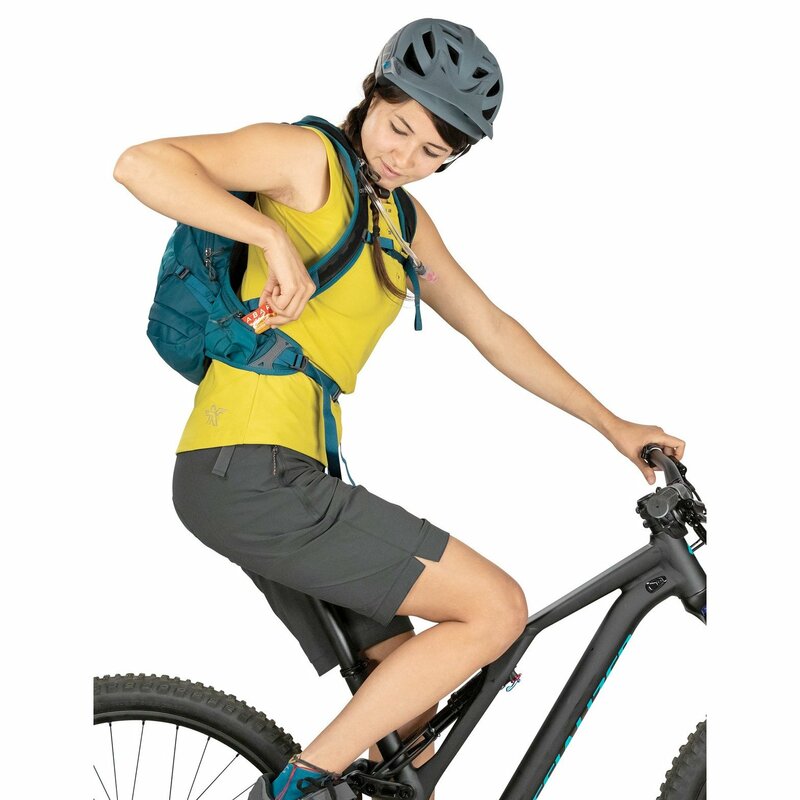 Head out to your local single-track and explore with confidence knowing you are prepared for any eventuality. 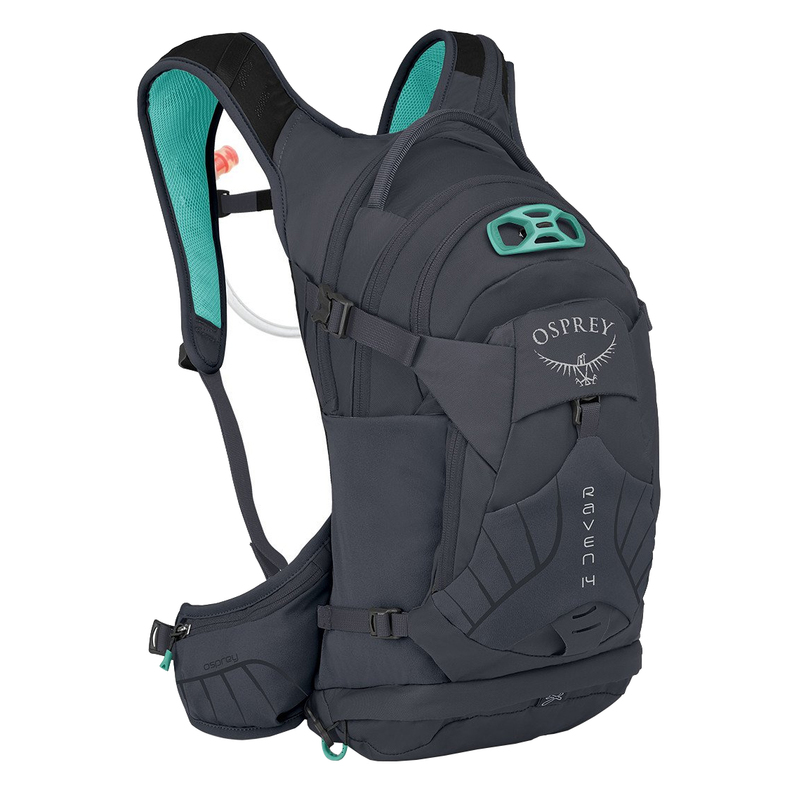 Osprey equipped the Raven 14 with their Bio-stretch harness and hip-belt which provides a comfortable feel no matter how rough the trail gets. The 3.0-liter Hydraulics Reservoir reduces liquid movement to increase pack stability at high speeds. 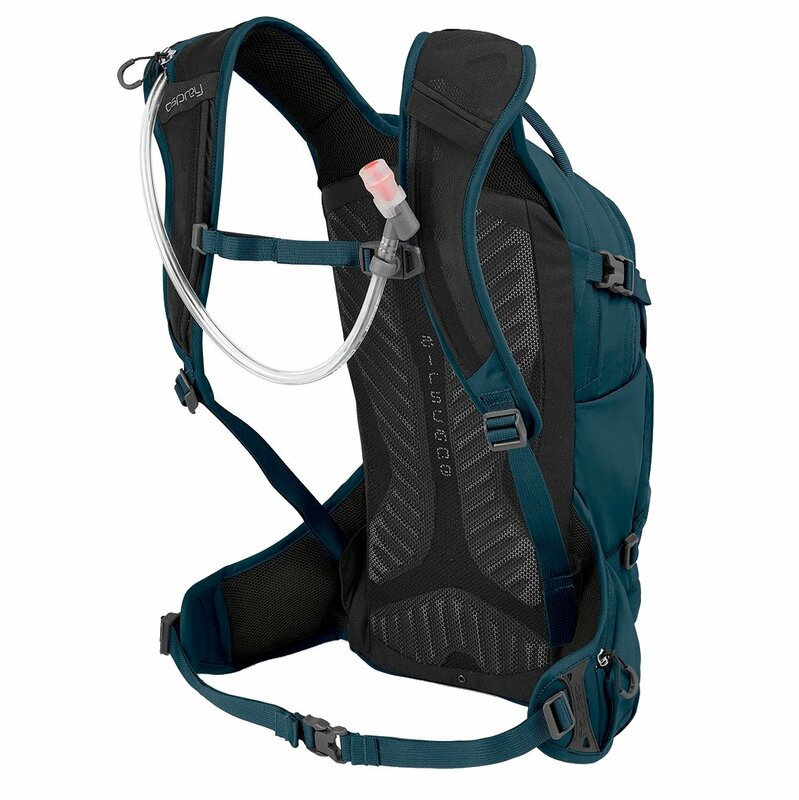 The reservoir can be easily removed and refilled through a zippered pocket and the hose routes around your right shoulder and secures to the sternum strap with a magnetic disk. The main compartment of the pack is accessible through the front zipper panel and there is also a front mesh pocket to easily storage extra gear. 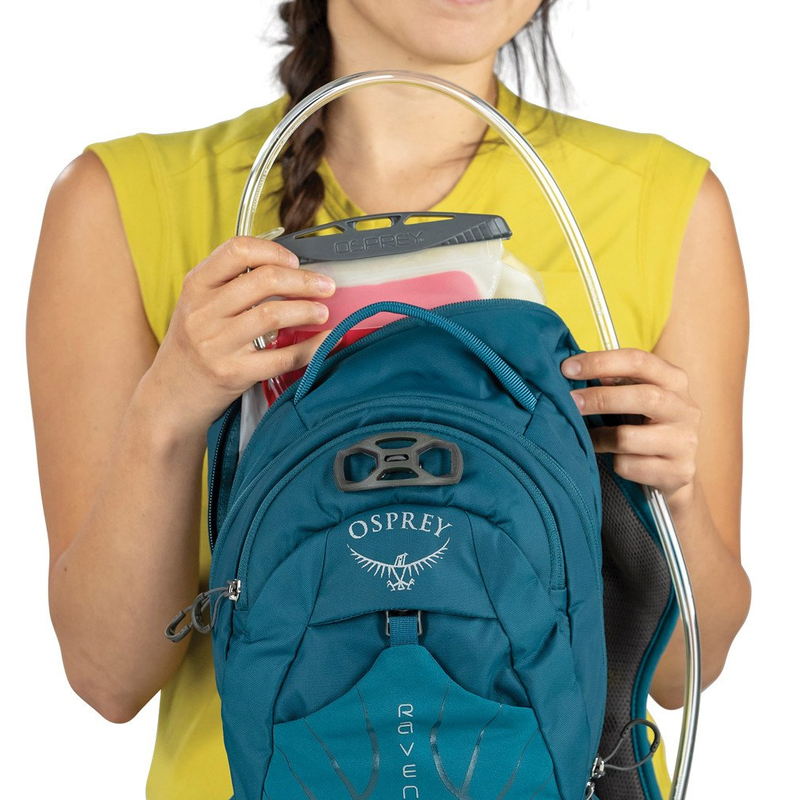 To top it off, the pack features zippered hip-belt pockets to store often used items and a special scratch-free sunglasses pocket protects your shades when the fog is out. 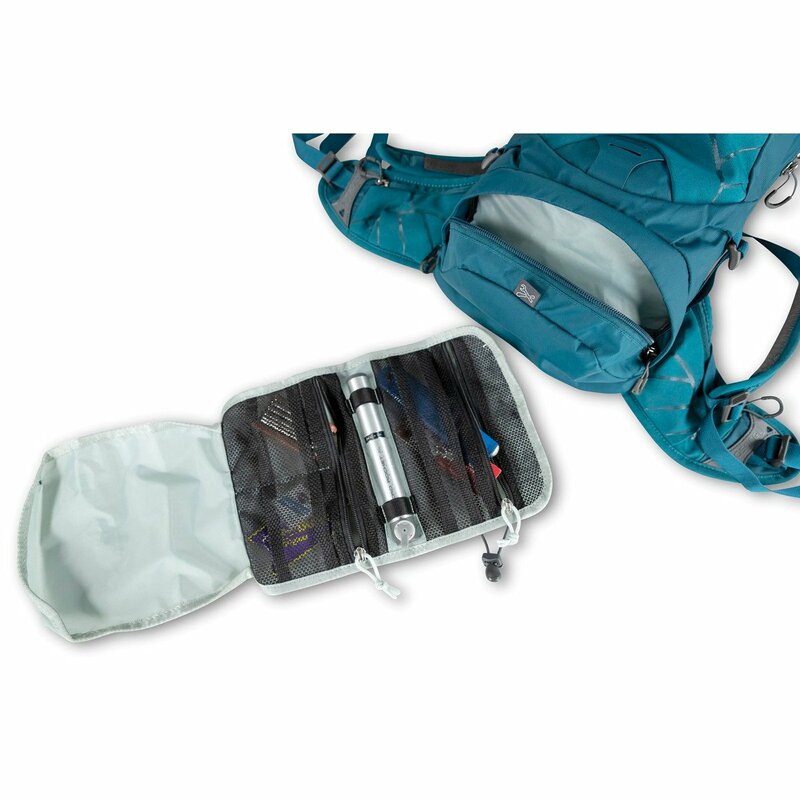 If you are going to use the Raven pack for mountain biking, you’ll be excited to store all your tools on the roll out tool sleeve that is easily accessible when you need to perform some trailside maintenance.